Fresh off of filming for Captain America: Civil War, Daniel Bruhl shows no signs of slowing down. The Wrap has learned that the actor has just signed on to the World War II drama The Zookeeper’s Wife. 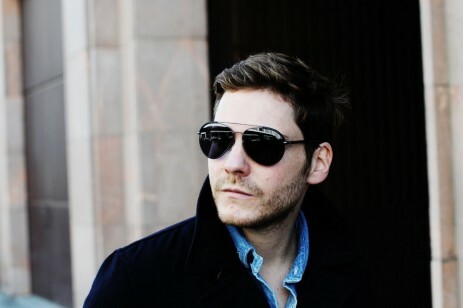 Bruhl will join the already cast Jessica Chastain and Johan Heldenbergh. Niki Caro, director of McFarland, USA, is set to helm the film for Focus Pictures. Angela Workman adapted the script from Diane Ackerman’s 2007 novel of the same name, which in turn was based on the unpublished diary of Antonina Zabinska. The story follows Zabinska (Chastain) and her husband Dr. Jan Zabinska (Heldenbergh), the director of the Warsaw Zoo, as they used the zoo to help 300 Jewish people escape the Warsaw Ghetto in Poland in 1939. Bruhl will play Lutz Heck, Hitler’s chief zoologist, who took over the Warsaw Zoo. He fell in love with, then terrorized Antonina. Production is set to begin next month in Europe. This entry was posted in Breaking News, Film and tagged Daniel Bruhl, Jessica Chastain, Niki Caro, The Zookeeper's Wife. Bookmark the permalink.